Great new park! Huge scary bowl for the adventurous. 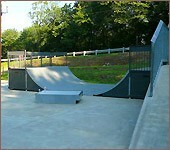 Half pipe and 3 levels of ramps, rails and gaps. 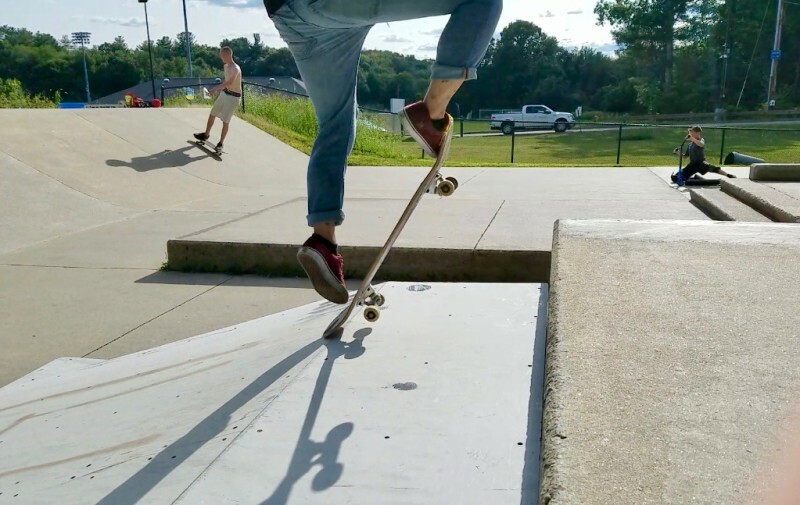 Being a newish skater, I was intimidated but everyone seemed to keep to themselves. Beware, there were a group of teens smoking and drinking in the company of children. I can't wait for phase II to be completed! 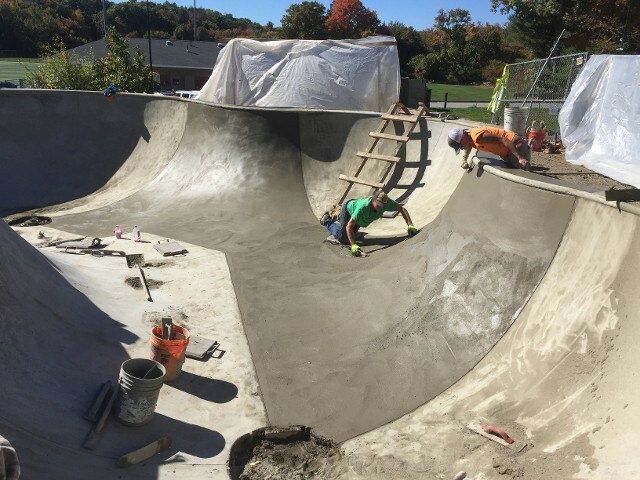 The new bowl's deep end is kinked really badly, very lumpy on the right hand hip as you enter the deep. Way too little flat bottom as well. 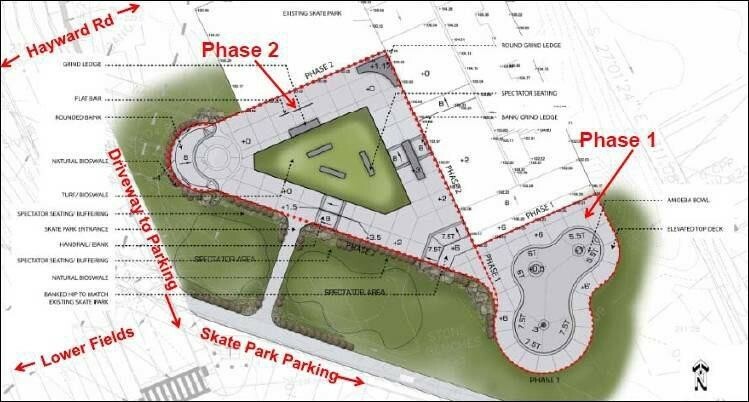 Shame as it could have been really excellent..
A Brand new bowl was just added to the skate park as phase 1, and a brand new street plaza will be built as phase 2 very soon once fundraising is over.